Campaigners are calling on the Government to protect benefits that support children with sensory impairments. The appeal by Blind Children UK, the National Deaf Children’s Society, RNIB and national deafblind charity Sense follows reports that the Prime Minister has declined to rule out cuts to disability benefits as part of the Chancellor’s forthcoming £12bn welfare savings and his spokesman has indicated that only people with the most severe disabilities will be safe from cuts. Disability Living Allowance (DLA) is paid to families to help with the additional costs of having a disabled child. This can include travel to medical appointments, communication support and sensory toys and life-saving technology. The charities say they are concerned about cuts to disability benefits ahead of the budget statement on 8 July. If budgets are cut or eligibility criteria tightened, many children may no longer receive DLA, leaving their families unable to pay for the extra support needed. This could leave children vulnerable to isolation, bullying, low levels of achievement, and unemployment and poverty in later life, they say. They are now urging their members to write to their MPs ahead of the July budget statement to ask them to put pressure on the Chancellor to protect benefits for children with sensory impairments. 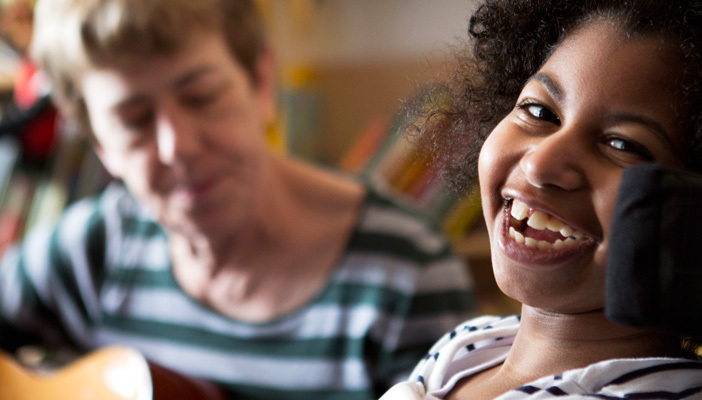 Blind Children UK Chief Executive Richard Leaman added: "Families raising a child with sight loss often face significant extra costs to give their child the same opportunities as their peers. For example low vision aids to enable children to read independently, kitchen equipment to enable children to learn to cook independently and the cost of specialist support during extra-curricular activities. “It's vital that families facing these challenges are able to rely on the financial support provided by Disability Living Allowance. Without this, children with sight loss may be unable to reach their full potential."